Ok, not really tongue tied. I just couldn’t think of a better title for this picture. Have I mentioned that Mia has found her tongue? And I have found time to write again. If you are finding (making?) time to read, or at least look at pictures, I suppose that means you enjoy it. That makes me happy. 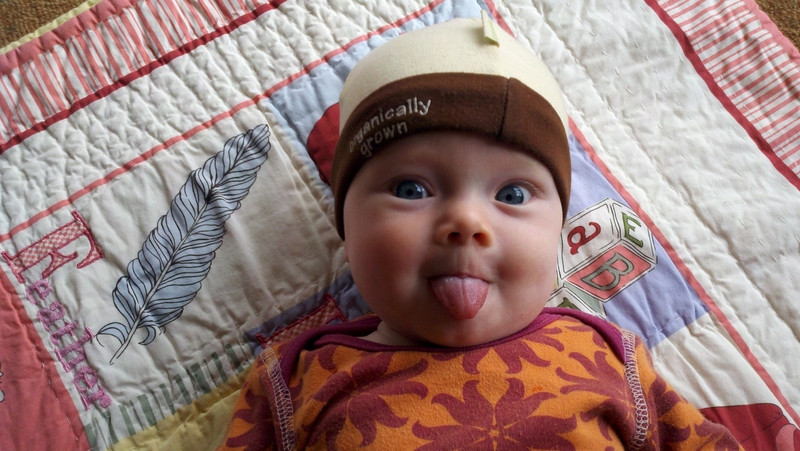 Though, admittedly, not quite as happy as this adorable daughter of ours. Happy weekend!